OMAHA, Neb. — Not everyone stays up-to-date with the coolest, new tech toys, but we likely know someone who would love a new gadget this holiday season. 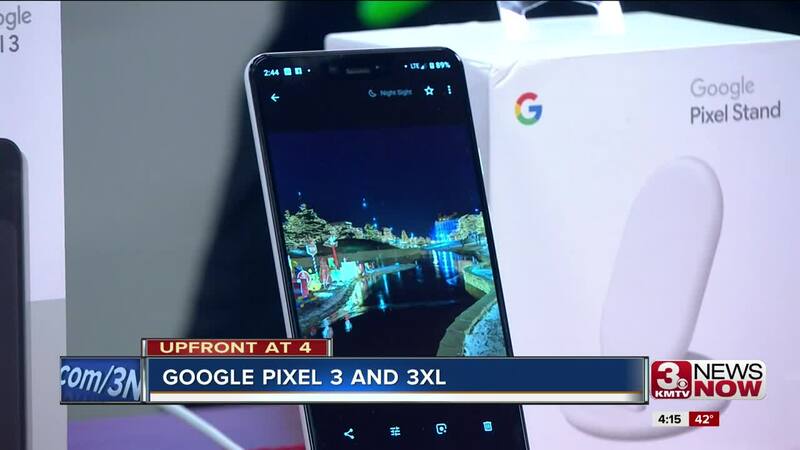 3 News Now Anchor Jennifer Griswold recently chatted with Verizon's Gadget Guy Steve Van Dinter about some of his top picks right now. Google Home Hub: Van Dinter says this is like the Google Home from last year, however, it now has a screen on it. He says it's great in the kitchen because you can have it show recipes and even play YouTube videos to show cooking techniques by just using voice commands. Wemo Mini Smart Plug: Anything you plug into the outlet becomes app enabled. That means you can use it for items both inside and outside your home. For example, you can schedule your Christmas lights to turn on, shut off your curling iron or turn on your tree lights without shimmying under the tree. Lifeprint Photo Printer: This is a blue tooth battery-powered photo printer that does not require ink because it prints on thermal paper. Basically you take a photo from your phone and it prints from your device. It's small and can fit in a pocket, purse or backpack. Van Dinter says kids love it since they don't often see printed photos these days. Google Pixel 3 and 3XL: Van Dinter says he loves it for the camera. He highly recommends checking out the XL's capabilities in night mode. Nest Thermostat E: Van Dinter says you get all the features in terms of controlling your heating and cooling when you sync it to your Google Home but it's cheaper than the Nest. Verizon's web site has more information about these products including prices if you order through them.